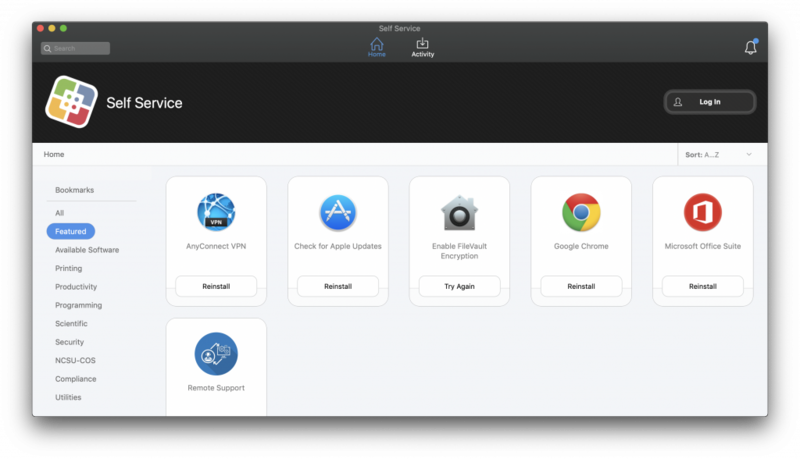 Your Self Service application is always available in Applications on your Mac. 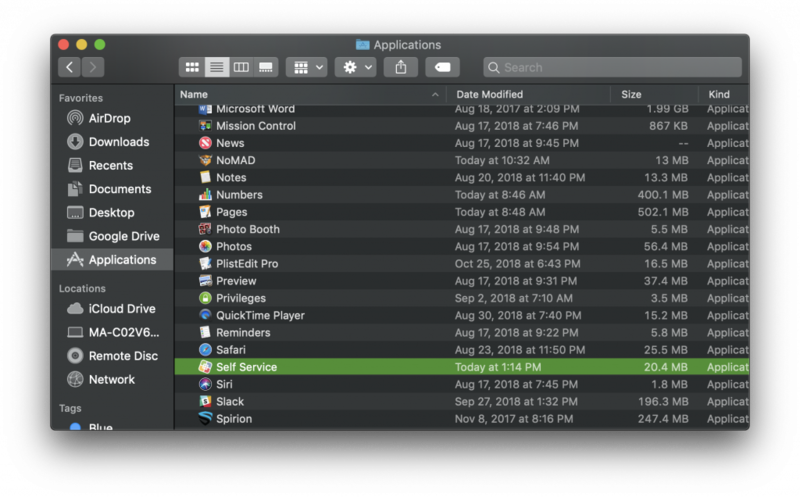 Most of the time, you’ll find it on your Mac’s dock, but never fear- it’s always in Applications. After a brief connection pause, you’ll be presented with the Featured category, which you can see listed along with other categories in the screenshot below. 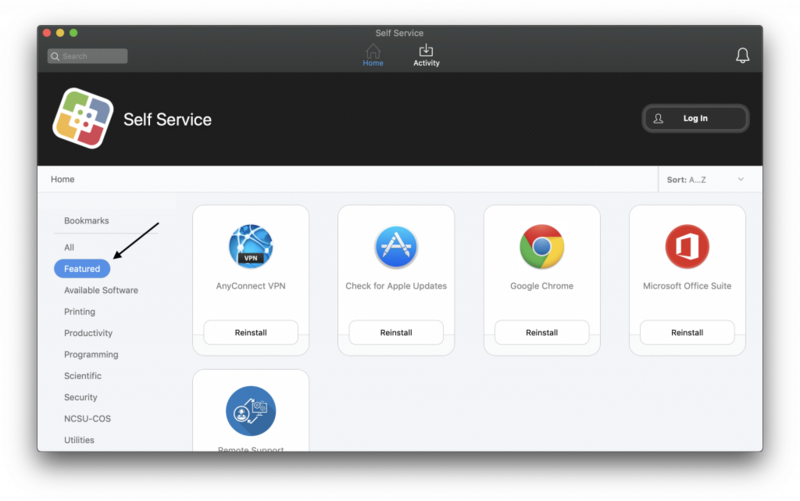 Self Service offers policies, which can be Apps, macOS features, fixes to common problems, or even requests and weblinks. When you first open Self Service, you’ll be presented with the Featured section of curated policies for your device. If you want to see curated policies for you, you’ll need to sign in using your Unity credentials on the top right. The very first category listed is Bookmarks. This category offers quick links to things like NC State’s MyPack portal, IT support requests and other departmental resource information. If you have things that you think would be beneficial if added to Bookmarks, please reach out and let us know! Self Service will also notify you if there are updates or changed pending that require your approval. You can see those notifications in the top right ring icon. Self Service doesn’t require administrative privileges and works from anywhere with an internet connection. It’s not limited to on campus! If we missed something, or you feel like something should be available on Self Service, drop us and email or comment below so we can get started on that.